In order to get the best results, you need to limit your goals for SIM. The influx of personal smartphones and other computing devices into the enterprise is forcing a shift in security strategy. An automated tool and mandates for continuous monitoring try to improve federal information security efforts. Sony and other data breaches suggest need for data accountability, better configuration management. Online criminals have smaller targets firmly in their crosshairs. 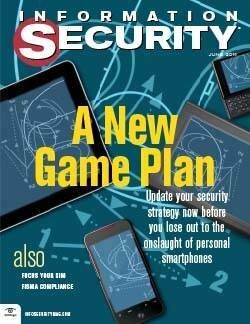 Banks and other businesses are rushing to jump on the mobility trend but leaving security behind. Security expert and Information Security magazine columnist Marcus Ranum continues a new bimonthly feature where he goes one-on-one with a fellow security industry insider.